Your name will be listed as a backer on the new game website. 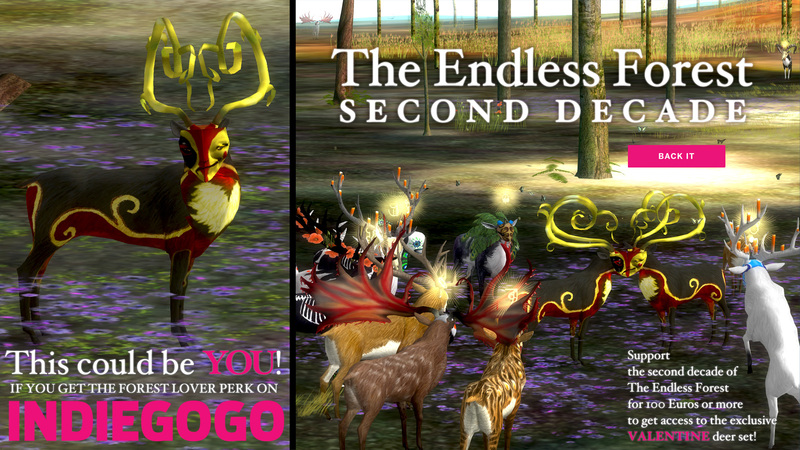 Tagged perks + You will get access to the DEER 3d model suitable for 3d printing + mp3s of music loops from The Endless Forest game. 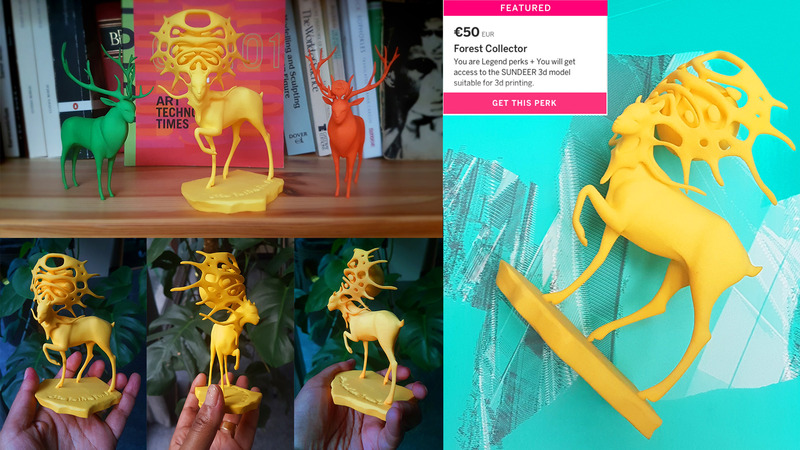 Forest Fan perks + You will get access to the SUNDEER 3d model suitable for 3d printing. 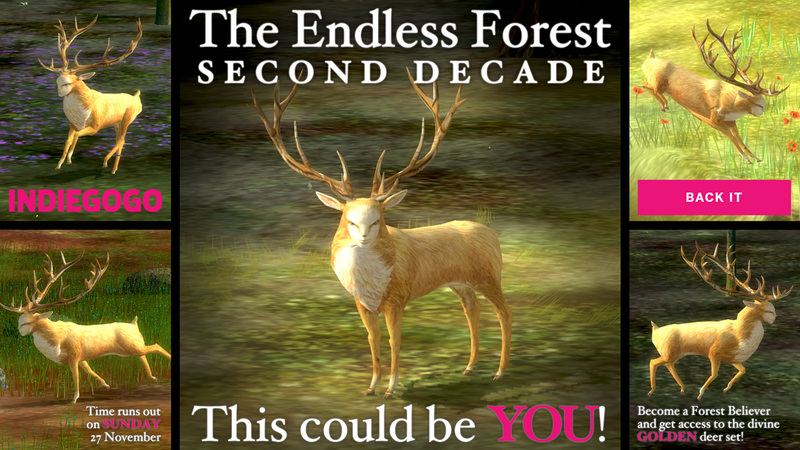 Forest Collector perks + You will love The Forest even more sporting the Valentine deer set! 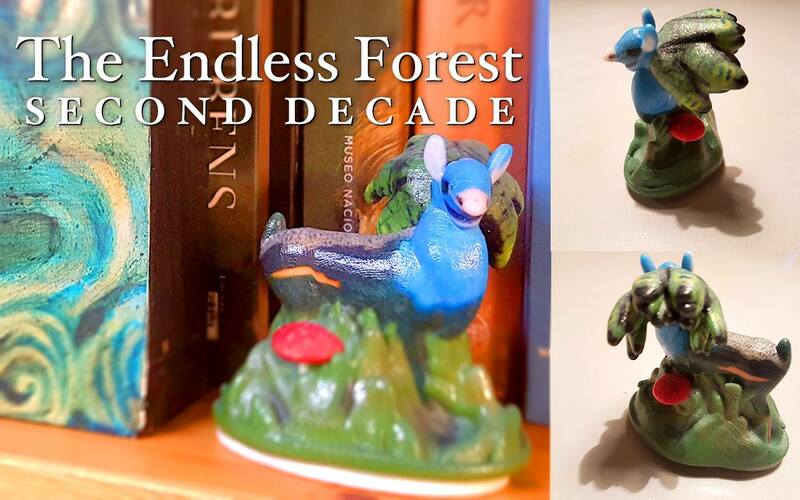 Available only to Forest Lover Backers! Forest Lover perks + The divine Golden Pelt and your name listed as an executive producer on the new game website and in-game credit screen. 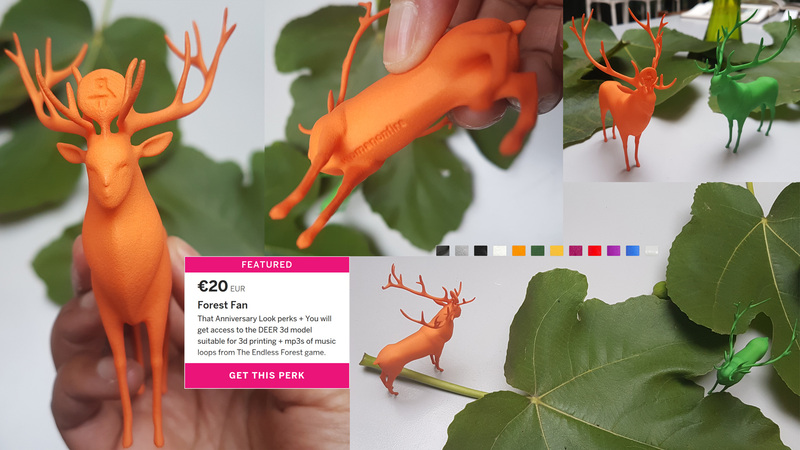 Forest Believer perks + You get to order a custom made full-color 3D print of your favorite Deer avatar with your own choice of pelt, mask and antlers. Forest Fans will get a private link to print a deer model in 3D on Shapeways in a color of their choice. Forest Collecters get a private link to print the legendary Sun Deer model in 3D on Shapeways. Forest Lovers get the special Valentine's deer set that was designed for one particular occasion and rarely seen again. Forest Believers will enjoy the Golden Pelt that has been reserved for Abiogenesis ceremonies so far. Forest Patrons will get a private Shapeways link to 3D-print their unique deer avatar in their personal favorite outfit in full color.